What would you do if you couldn’t make a living for a period of weeks, months, or even years? Do you have enough savings to get you through the hard times? Considering that even those Americans earning high wages of between $70,000 and $114,999 have an average saving of only $5,400, you’re unlikely to be able to survive if you cannot work. This is a worry, considering that one in three Americans does not have sufficient disability coverage should they become ill or be injured. The definition of disability is surprisingly straightforward, considering the profound implications it can have on your life. If you have an illness or injury and are unable to work, disability insurance will give you a portion of your income so that you can continue to live and, hopefully, give yourself enough time to fully recuperate before returning to work. In the United States, disability insurance is split between two major modes; short-term disability insurance and long-term disability insurance. Most insurance policies are capped meaning that a percentage of your working wage will be paid out by the insurance company, up to a pre-agreed amount. Though these two approaches are self-explanatory – one is short-term, the other long-term, they have very different implications. For example, while short-term insurance tends to replace between 60 and 70 percent of your normal working salary, the long-term type will replace around only half of your salary. Depending on the policy you choose to buy, the insurance payout will be drastically different. Most short-term policies payout for between a few months and one year, whereas long-term policies will pay out until you return to work. 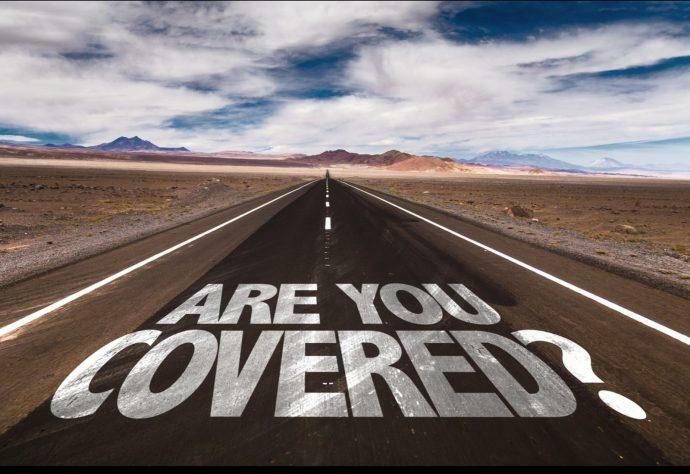 Another difference between the policies is the waiting period set before you begin to receive your insurance payout. Two weeks is a common waiting period for short-term policies, whereas longterm policies have waiting periods of up to 90 days and beyond. The definition of a disability will change depending upon the policy that you have. It is vitally important that you read and understand the definition of disability that you policy uses prior to signing up. Some insurance companies will only make a payout to you if you are completely unable to do your job. For example, construction workers who have had an injury and are unable to stand for extended periods are likely to be considered unable to do their job at all. However, other insurance companies will refuse to pay out if you’re still able to do a job that you’re qualified for. So, if you’re a postman or woman and cannot walk very far but can work at the postal office, then you may not receive a payout. Prior to taking out a disability insurance policy, it is vital that you consider the budget constraints that you are buying under, as well as your current state of health. If you work in a job that is more dangerous than most or are approaching the latter years of your career, you may be more likely to have to make use of this insurance. Your base salary and the amount of money you want to be paid out by either the long-term or short-term disability policies will directly affect the cost of the policy you choose. So ask yourself, how much do I need to live? Insurance payouts are not intended to pay for holidays or a new car but simply to get by in a comfortable way while you’re unable to work. They may also help pay medical costs. But use the answer to this question to decide on your policy. Additionally, you must know how long you can last without working before you need the payout. This will help you decide on the right policy for you, depending on the length of its waiting period. If you were injured, how long would you want the policy to continue giving you money? Knowing this will help you make a decision over whether you want to buy a short or long-term policy. And finally, form an opinion on what disability means to you. This way, you can first view the company’s definition of disability and decide whether it’s the right fit for you. Remember that Hamilton Financial Planning is always here to help iron out the details on what is a confusing but extremely important insurance policy decision. If you need some help then please, get in touch.